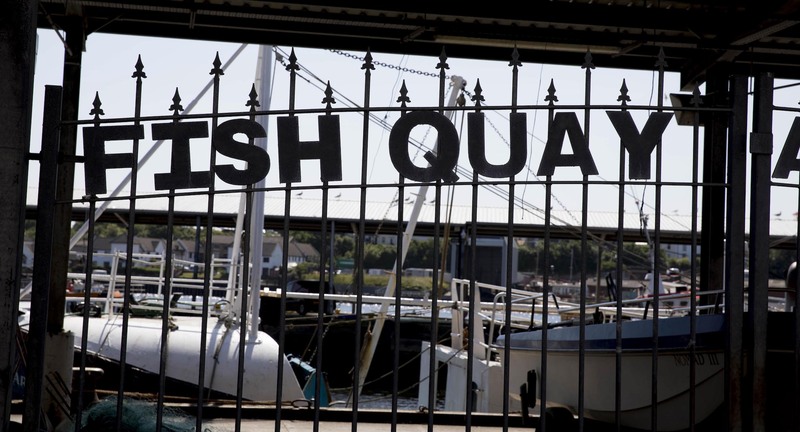 The Fish Quay has its own dedicated website - click here to take a look. 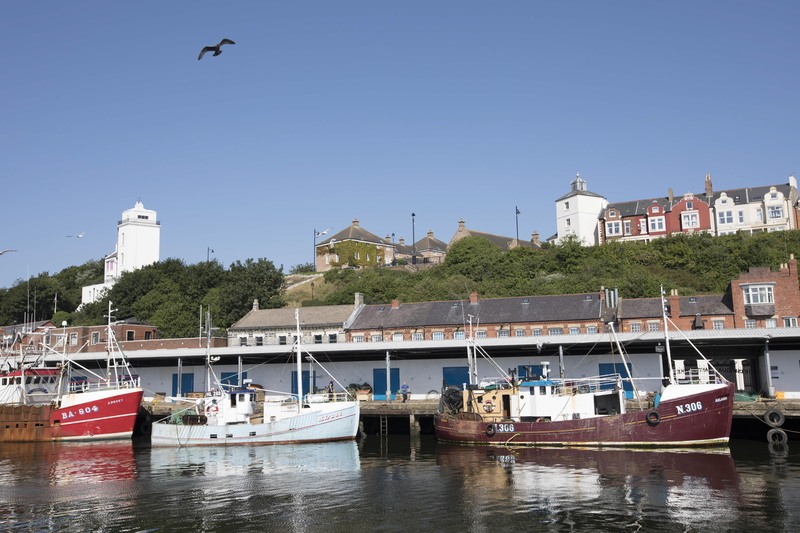 North Shields Fish Quay dates back to the 13th Century and has a fascinating history. In 1225 a village of shielings (fisherman's huts) developed where the Fish Quay stands today. 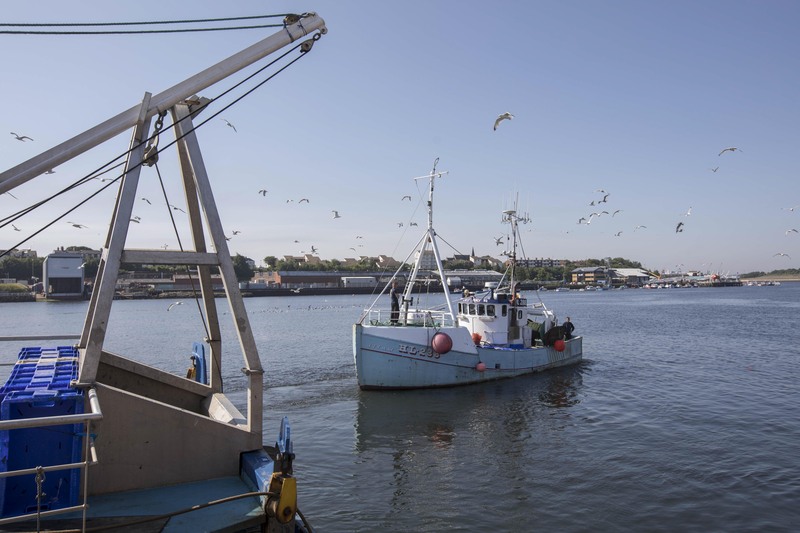 North Shields took it's name from the shielings and the fact it stands on the north bank of the River Tyne. There are a number of historic buildings, notably Clifford's Fort, built in 1672 as a coastal defence against the Dutch. It is still a working quay today, has a thriving business community and is popular with visitors. The history of the Fish Quay is told through a series of interpetation panels from the ferry landing to Clifford's Fort explaining the history of many landmark buildings, telling some interesting stories and explaining how the Fish Quay developed from humble beginnings to the present day. Look out for some reclaimed marine buoys which have been painted and now act as waymarkers for the National Cycle Network routes that pass along the Fish Quay. 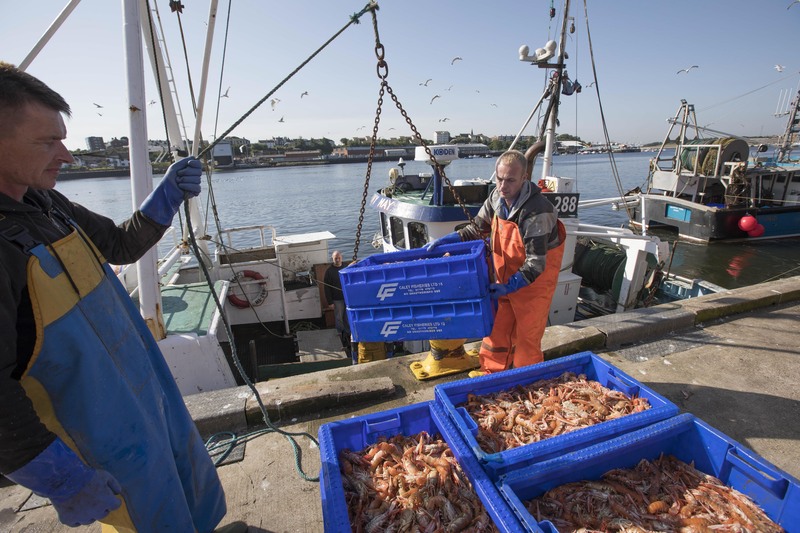 Traditional seafood businesses operate alongside newer businesses including marketing and public relations companies. There is a vibrant social scene on the Fish Quay with a wide range of places to eat, from traditional fish restaurants to stylish brasseries. You can even enjoy fish and chips out of the wrapper overlooking the River and watching the ships pass by. The promenade that stretches east from the quay towards the mouth of the River Tyne is a nice walk with superb views of the river entrance, the piers and Collingwood Monument. It eventually brings you to a headland known as the Spanish Battery where Tynemouth Priory & Castle comes into view. The climb up the stairs from the Fish Quay to Tyne Street is rewarded with magnificent views up and down the river. A short walk away is Dockwray Square where there is a statue of comic legend Stan Laurel. Stan lived in North Shields as a boy where his father was a theatre manager. One of the latest developments on the Fish Quay has been the opening of the Old Low Light - a heritage attraction run by volunteers celebrating the history and heritage of the Quay. Perhaps the newest arrival on the Fish Quay is Fiddler's Green - a memorial to lost fishermen.